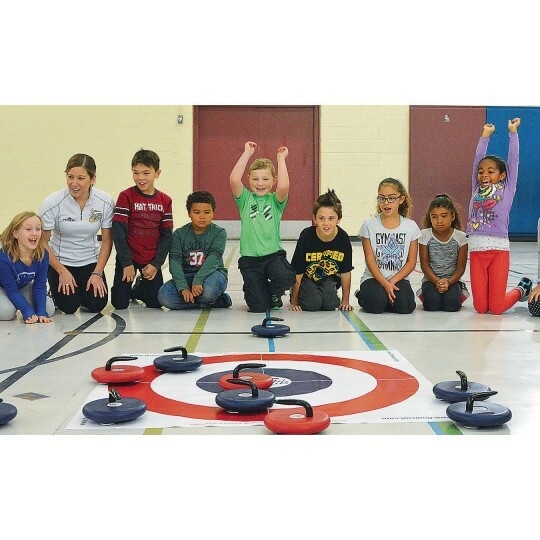 Get your group into this exciting Winter Olympic sport! Get your group into the exciting Winter Olympic sport of curling with this high quality Floor Curling set. 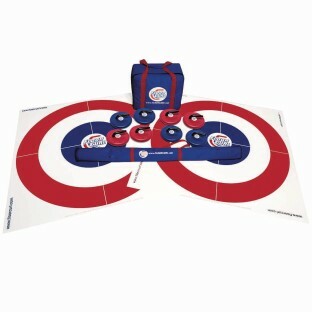 Each set includes eight (8) FloorCurl rocks with a padded carrying case, and two (2) target mats (rings) in a second carrying case. The FloorCurl rocks are 7-3/4” in diameter, have comfortable and easy grip built-in handle and 3 heavy duty ball bearings on the bottom that provide a smooth and consistent rolling action. Each curling rock weighs about 2-1/2 lbs. 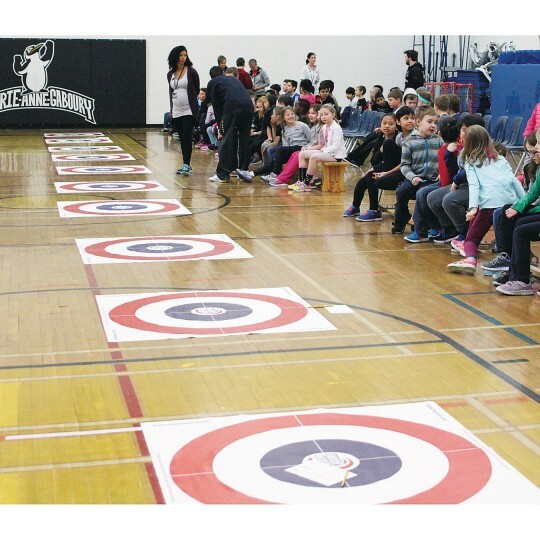 The target mats are about 48” x 48” and are made from a heavy-duty vinyl. The set is used in over 1,000 schools and played by over 1 million kids in Canada. 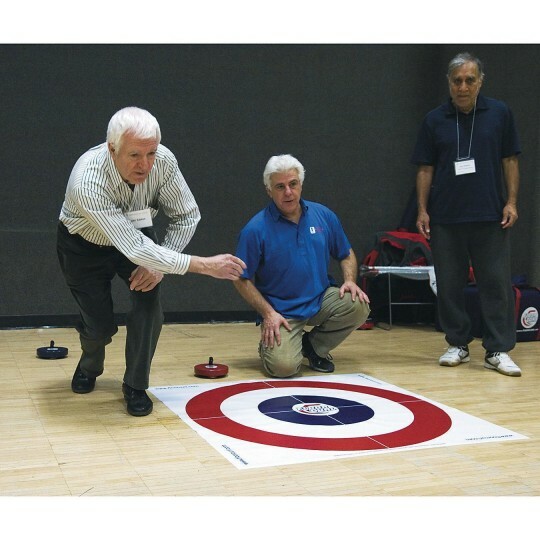 The rules are simple and no Curling knowledge or experience is required. 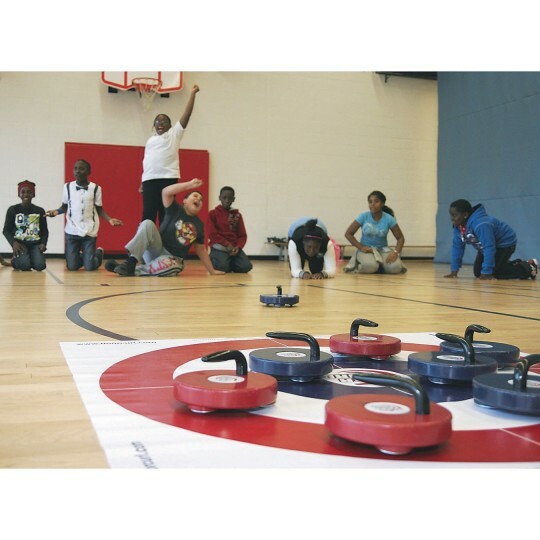 Floor Curling can be played indoors or outdoors on any smooth dry surface. Do not use in wet or sandy conditions. For outdoor use, a surface like a tennis court or a shuffleboard court should work well.